Still in the “small caves” node of the Dyson Mega Delve, this map links up to last Friday’s map via the two staircases leading down to the Tunnels of the Rat Folk. The northern exit leads to an upper mezzanine in the Vietnamese Cavern (which is going to need a different name soon, since it is coming up quickly on the list of things to map and detail). The large cavern is home to a foul beast that devolved from the halfling rat folk who live in the small complex and the caves below as well as a horrendous slime creature that lives by the pool in the uppermost cave (at the bottom of the map). 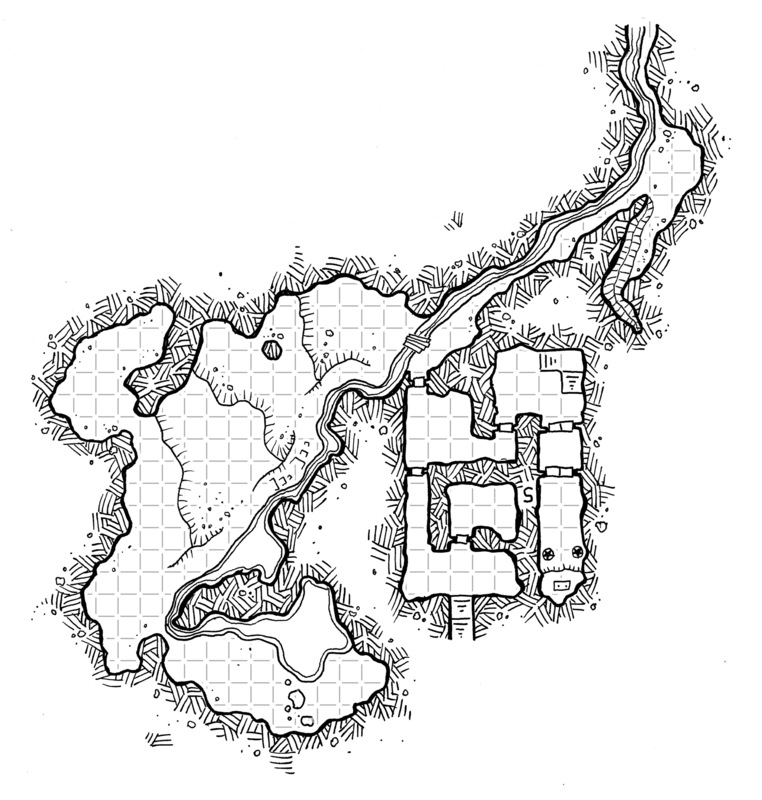 The small complex of rooms here is also home to the shrine of the rat, the semi-deity that has perverted these halflings into the cannibal rat folk who live in this area. Below is a version of the map without the grid (and I noted that the grid is missing in the above version in the room between the rat shrine and the northern stairway room, but I’m not going back to fix that any time soon). While these maps are meant to go with the still incomplete Dyson Mega Delve, they are also yours to do with as you want in a non-commercial manner. They are presented here for your use thanks to the awesome people who support the blog and my mapping through my Patreon Campaign. 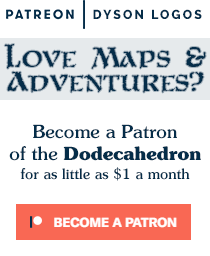 For as little as 5 cents a map, you can become part of the powerhouse of awesome that keeps these maps flowing! You could get lazy and simply name the Vietnamese Cavern something like “The Grand Cavern” or appeal to a name generator. Depending on exactly how big you make it, you could also call it something like ‘the Stone Sky” or “the Dead Sky”.